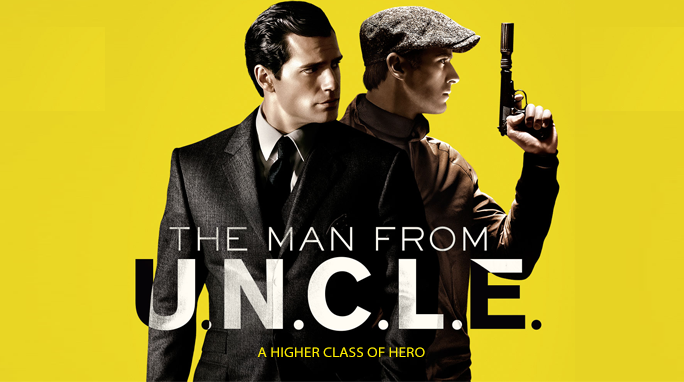 A super slick and retro-tinged reboot of the 60’s television show brought to life by the great direction of Guy Ritchie, The Man from U.N.C.L.E is a stylish and delightfully light-hearted spy movie that will leave you with a ridiculous grin on your face because of the utter enjoyment and excitement there is to be had with it. The year is 1963 and the Cold War is at its height. Suave and super cool CIA agent Napoleon Solo, who was once a former thief, manages to extract the beautiful mechanic Gaby Teller from East Berlin. Their attempt at this is only hampered by the interruptions of violent and hulking KGB agent Illya Kuryakin. Gaby is the daughter of a scientist who has been kidnapped and forced to help craft a nuclear bomb. With Gaby now seemingly safe for the time being, Solo is briefed by his CIA head about a dangerous new mission, with a very big and unexpected difference. All traces of this potential nuclear disaster point to a shipping company headed by the seductive Victoria Vinciguerra and her husband, who are both Nazi sympathizers. With their plan for the nuclear bomb, both the KGB and CIA are worried about the potential worldwide crisis it would bring. The two agencies agree to work together, and this is where the debonair Solo comes into contact once more with the taciturn and efficient Kuryakin. They are to work together to infiltrate the Vinciguerra company and rescue Gaby’s estranged father, along with acquiring his research for either government covertly. As part of the cover, the quick-witted Gaby comes along pretending to be the fiancée of Kuryakin. The mission, that takes them from Germany to Rome, is not going to be easy, especially because of the intense rivalry and dislike between Solo and Kuryakin. But soon enough, the mismatched agents see that they must put aside their differences and competitive nature aside in order to work as a team in order to avoid a world destroying plan, that is now dangerously in quickening motion. 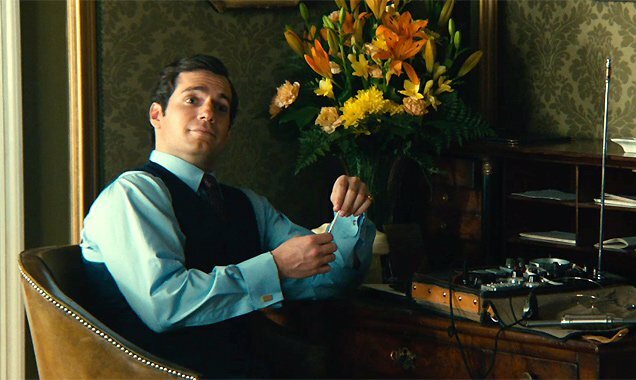 From the opening of the movie with a groovy title sequence detailing the history of the Cold War set to a slinky soundtrack, you know that The Man from U.N.C.L.E will definitely be a delightful way to spend a few hours. Guy Ritchie directs with colourful exuberance, crafting this world of espionage as one of glamour and danger, which often intertwine. From the use of split-screen and unusual camera angles, Ritchie seems to be firing on all cylinders and this is for the better as it gives kinetic energy and well-timed humour to the proceedings. A quick fire script of blisteringly amusing one-liners and situations is an utter marvel and really delivers in the thrill department too. Costume design is suitably eye-catching and the sets recall the early Bond movies with luxurious mansions, castles and racetracks. A jaunty and adventurous score underlines the light-hearted, breezy atmosphere of the film, merging perfectly with well-chosen songs from the 60’s. You’d think that with all this visual splendour taking place that The Man from U.N.C.L.E would suffer in the story department. Thankfully, the plot of the movie retains interest throughout with its pastiche of spy action and mismatched buddy humour between the dashing Solo and moody Kuryakin keeping everything ticking over with panache. There will be those that will hop on the bandwagon and say that the movie is nothing but a show of excessive style, but I for one loved the style and thought that it complimented the movie, rather than hindered it. Ritchie assembles a truly inspired and game cast who play their roles with such ease and charm. Heading this is the dapper Henry Cavill, whose smooth and cool as a cucumber personality make Solo a likable maverick style hero. Relishing the humour and equally adept with the physical stuff, Cavill shows that he has the requisite skill set to become a future contender for the role of James Bond. 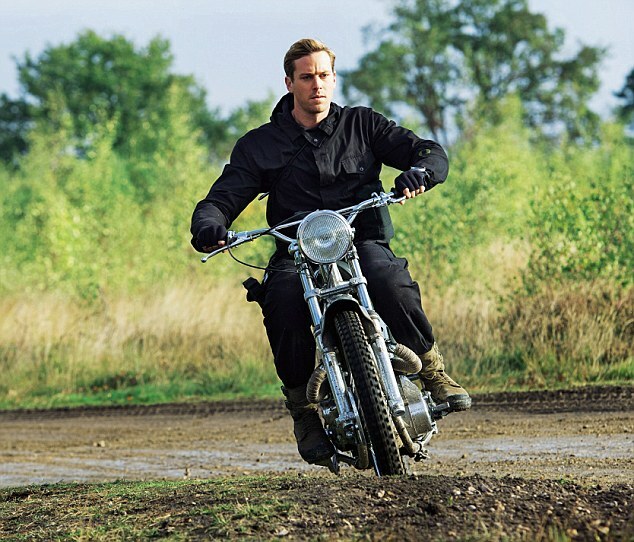 Equally as impressive is Armie Hammer, who uses his large frame and imposing stance to portray the violent and tough Illya. Yet he resists the temptation to just make Illya a massive brute and nothing else. He does this by infusing the character with a reluctant humour that is very funny as he begins to come around to the idea of working with Solo, who he holds deep animosity for. The wonderful Alicia Vikander( who is fast becoming one of my favourite actresses) is luminous and sparky as Gaby, who in the beginning comes across as just a quick-witted but very sweet pawn in the game. In reality, she is whip-smart and knows a lot more than she’s letting on. All of this, plus sparkling chemistry with the leading men, make the performance by Alicia Vikander a joy to watch. As the other female in the movie, Elizabeth Debicki is delightfully cunning and poisonous as the femme fatale with dangerous plans on her mind. And rounding out the cast is Hugh Grant, who has the necessary adroit humour and authority to play a spymaster, pulling many of the strings on the mission. 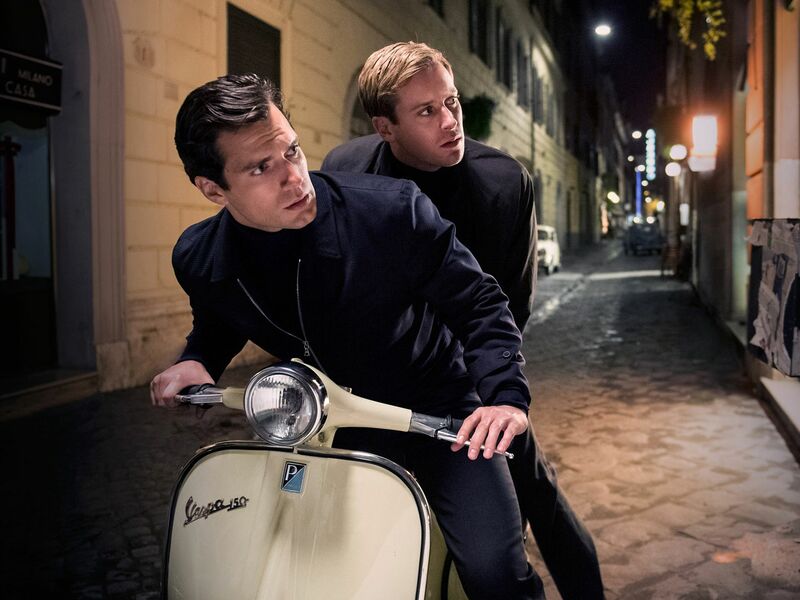 A colourful, amusing and thrilling spy caper, The Man from U.N.C.L.E is in a nutshell a movie that is full to the brim with wit, action and fun.